These days, most professional racing drivers get their start in a kart. In fact, more and more keep one ‘in the garage’ so they can take it out to stay ‘race fit’ between events. 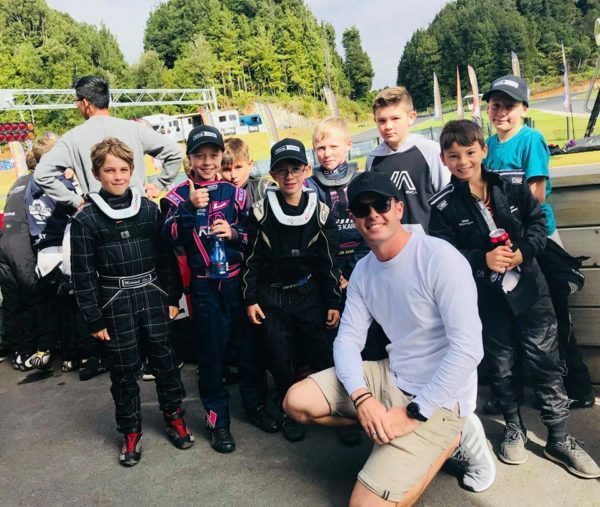 Kiwi Supercars ace Scott McLaughlin is one such driver, so it is no wonder that karts and karting play a key role in his upcoming charity event at Hampton Downs Motorsport Park, the inaugural Scott McLaughlin Grand Prix. Being put together by event management specialist Nick Rowland in association with McLaughlin, the Giltrap Group. Hampton Downs Motorsport Park and KartSport New Zealand, the Grand Prix event will be based in Auckland and held on the Tuesday (Nov 06) after the New Zealand round of this year’s Virgin Australia Supercars championship, the ITM SuperSprint meeting. Proceeds from the event will go to helping KartSport New Zealand fund and run its highly-rated Driver Development Academy. The Academy has been designed to provide a set of programs and coaching clinics to assist all members from new entrants through club day racers to aspiring and existing elite international level competitors. It has a team of contracted KartSport New Zealand Accredited Coaches, all of whom have had to meet strict accreditation criteria including a solid background in coaching of karters and participation in KartSport New Zealand coaching workshops. Many of the Coaches also have a distinguished history of competition in the sport. The Pro-Am format will see guests from the corporate world team up with high-profile local sportsmen and women to complete a variety of challenges during the day then enjoy each other’s company at a gala black-tie charity dinner on the Tuesday evening. The big difference between the ‘Grand Prix’ and other Pro-Am-style charity ones is that the Scott McLaughlin will be based round a series of driving challenges at Hampton Downs Motorsport Park. The event itself starts with a meet-and-greet ‘Pre-Qualifying’ cocktail function in Auckland on Monday November 05, then gets into gear proper on Tuesday November 06 at Hampton Downs where participants will enjoy a ‘Rolling Start’ breakfast followed by the day’s driving activities before a ‘Victory Lap’ charity dinner at the Kauri Bay Boomrock, near Clevedon that evening. Event host Scott McLaughlin’s incredible journey started in a Cadet class kart at the KartSport Hamilton club’s track in 1999. In 2002 he won the North Island Cadet title and after moving with his family to Australia returned to contest the North Island titles meeting in the Junior Restricted class in 2003, and later the Rotax Max Challenge (in which he contested the Junior class and earned a trip to the Grand Challenge Finals in Italy) in 2008. When he is at the track with his Supercar team the pressure is obviously all on. When he takes his kart out for a spin, however, not so much! “While Karting is the closest thing we can use to what we do in the Supercar and in some ways it is actually harder to drive then the race car, to head to the kart track with my little trailer, set up my tent and go racing without having to worry about anything is certainly an awesome way for me to relax,” says McLaughlin. As those lucky enough to join Scott at the inaugural Scott McLaughlin Grand Prix event will find out for themselves on Tuesday November 06 at Hampton Downs!